Photovoltaic, PV electric systems are more affordable than ever. The latest solar panels are higher in wattage and competitively priced, making systems more powerful, and less costly. 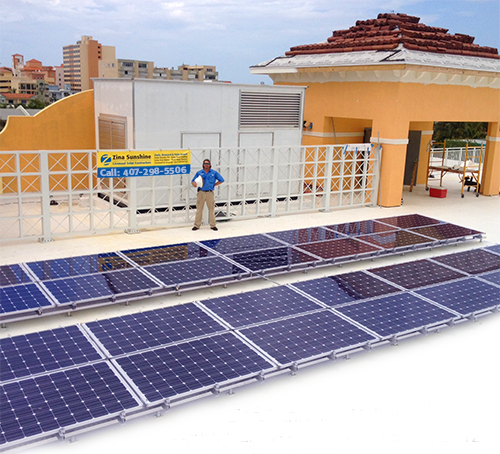 We install both residential and commercial PV systems. Working closely with engineers and building department staff ensures your job is done perfectly, and surpasses building code requirements. All of our systems are FSEC, Florida Solar Energy Center certified, and all systems include digital moniering cabability. Whether you're interested in a grid-tie system, or battery back-up, we are your contractor. We are licenced solar contractors in the state of Florida, and our work is impeccable.